The City of Osorno is one of the most important in Chile in more than one sense. 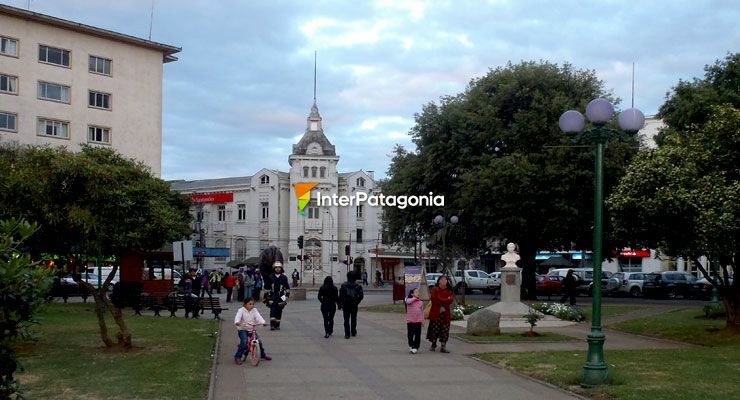 Situated by the Rahue River, 930 kilometers from the City of Santiago de Chile and 260 from San Carlos de Bariloche (Argentina), it features enough attractions to pay a visit. Osorno has always based its economy on agriculture and cattle-raising, accentuated with the incorporation of German colonists in the late nineteenth century and the arrival of the railway in the early twentieth. Such contributions promoted related industries and more products were available in the rest of the country. This colonization and the one that took place later have left eloquent vestiges of the origin of these settlements. One of them is its architecture. Osorno is the axis of highly praised landscape circuits. The Panamerican Road, also known as Route 5, joins the city to the rest of the territory towards the north and the south. In turn, the motorway CH 215 leads to woods, ski resorts, hot springs and volcanoes near the Argentinian border. To the west, Route U 40 reaches beaches and inlets on the Pacific Ocean. Both Fort Reina Luisa -bastion of the days on which this settlement had to be defended from pirates and foreign aggressors- and the ancient railway station have remained to commemorate local history. Today, with a modern appearance, the city boasts tall buildings and recreation for all ages. Several celebrations are held during the year. The best known are the Milk and Meat Festival, the Peasant’s Festival, the Agricultural and Livestock Exhibition, the National Folklore Show and the Homeland Festival. Capital of the province bearing the same name in the Chilean Lake District, Osorno is considered a park city for its large green extensions of land resting on its main rivers, namely: the Rahue and the Damas.